Tower of seven rich personalities! Make money through the money tower. 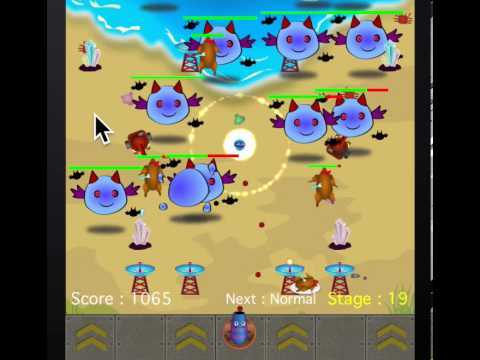 Induce the enemy using the magnetic and blow away the enemy using the burst tower!!! A variety of attractive monsters comes up! Protect the crystal from an eggs come to march along with the attack on chicken! Ultra-high difficulty hard mode hidden there! If you clear all the games, hidden hard mode will be started. Hard mode for real master waiting for you.